Note that you must tap and hold on the videos name, not on the video itself once it has been opened. This is the primary differentiating factor of saving movies versus saving images, and what seems to drive a lot of confusion. 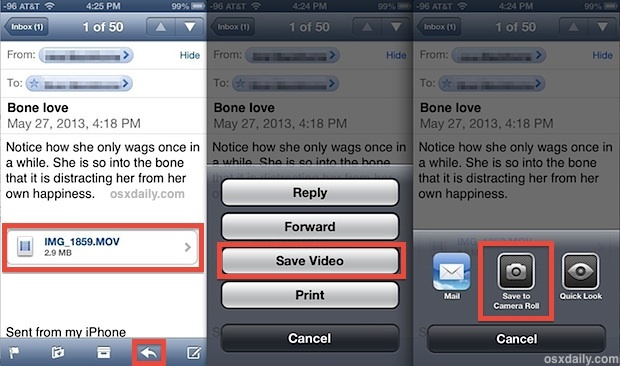 Again, you must choose to save the video directly from the email itself, because once the video is open you can’t tap-and-hold on it to save it locally. 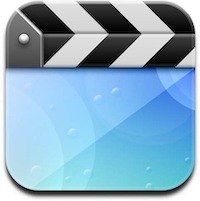 Whichever method you use will save the video to the Camera Roll, making the movie accessible through the Photos app along with photos and other movies. If accessing saved video from an app dedicated to photos sounds a little strange, well, it is, especially considering there is no ability to sort the videos from the photos, but hopefully a method of differentiation will be ironed out in a future iOS release, even just a default “Videos” album would be enough. 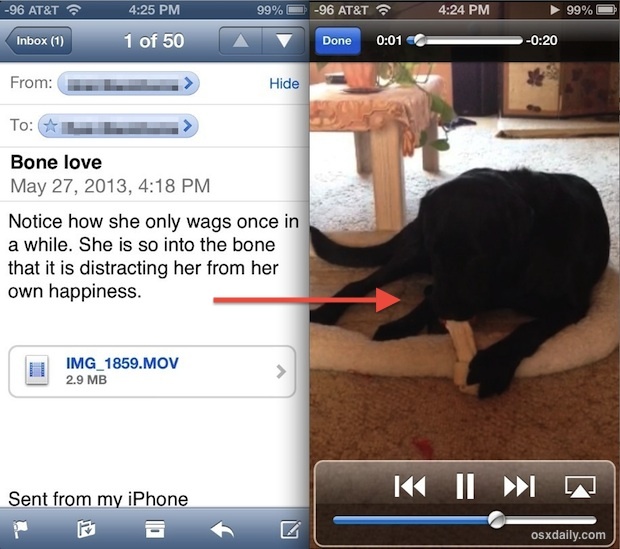 For what it’s worth, if you’re emailing movies to yourself to get them onto a computer, you’ll find the video goes through pretty heavy compression. This is because videos are often huge without being compressed, and so if you’re looking to get a full HD video onto a computer you will need to manually connect the iOS device to a Mac or PC through USB and copy it over that way. Is there a file size limit? I have a 26 MB MP4 video file and I cannot save it to Photos. Another MP4 file with 5 MB can be saved as described. hello I have a question..
if we already play the video..is that already downloaded to the phone storage ? And how to download the video of we already play it first ? I don’t get any “save” options when I do the tap and hold. iPad 4 with Apple / Mac mail.